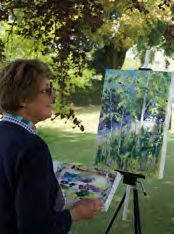 Following last year’s success, artists of all levels – from students and amateurs to professionals – are invited to paint en plein air in the beautiful grounds of Hole Park in Rolvenden, Kent, on 9, 10 and 11 May (11am to 6pm). The park will be open to the public to watch artists at work, and on 12 and 13 May a display of all the work produced will go on show in the Coach House. A booking fee of £18 per artist, and a £7 entrance fee to Hole Park on the day will be donated to Pilgrims Hospice. 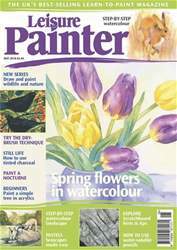 En Plein Air Masterclasses will be given by Karl Terry, Rowan Drew, Paul Gadenne and Mark Fisher. Telephone Joanne Weaver for more information on 07415 891098 or email her at www.joanneweaver-artworks.com for booking forms. These need to be returned by 31 March.